Do Any of Your Online Marketing Strategies Have Hidden Pitfalls? The best life (and business) lessons are often taught to us in ways we least expect. Recently I was reminded of one the greatest lessons out there – there are hidden pitfalls and unsuspected difficulties found in just about everything! Just the other day I spend most of the day looking for a shoulder screw to repair my car. 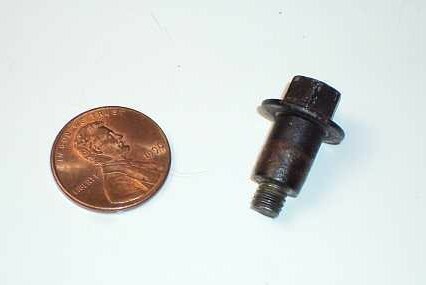 You see while replacing my Subaru’s fuel pump I accidently over tightened a bolt and broke it off. Now in the scheme of things – a broken bolt or screw can a very, very, very frustrating but a fixable problem. The plan was for me to buy a common tool called an “easy out” or screw extractor, remove the broken shoulder screw and replace it along with two other screws I had “lost” during the day. I also carefully removed one of the “good” screws from the pump assembly to take with me as a “show and tell” example. Well, what started off as “easy” DIY project – turned into car repair journey from hell! The plan started off fine (at first) I drove and brought a cheap “easy out” extractor from Harbor Freight (my favorite tool place). The problems started when I dropped by the closest auto supply house to get the screw replacements. The guy behind counter after much searching, head-scratching and whispered consultations told me they didn’t carry such a thing and that it was a “dealer’s screw” and they couldn’t help me. Not to mention that they were out of the other more common ones I needed too! Long story short, I ended up going to a couple of other auto parts stores and some “nut and bolt” vendors. Next I visited a “nuts and bolts” company – they have much more a comprehensive selection fasteners than most auto parts or hardware store. There I got 2 screws that were an exact match for the lost ones, “almost-right” shoulder screws and some helpful advice. After explaining and discussing the situation – in detail – with the counter guy, he said that as my broken-off bolt was indeed a custom-made screw available only from the car dealership. And that I would have to bit the bullet and get one from them. After all it’s a dealer’s screw! By now it was 4:30 PM and so I drove my borrowed full-size Suburban truck (circa 1997) like a NASCAR race finalist to get to other side of town – where the only Subaru dealership is located. Rushing in, I practically flung my sample screw at the guy behind the counter. “Yes, two nut and bolt companies, a couple of auto parts places and a home improvement store said it was!” I say, pouting and crossing my arms. “Huh? Never saw one like this before. Hmmm… here it is. I can have it here this Thursday and that’ll be $7.98 a screw. How many do you need?” he says. Yep it’s a dealer’s “screw” alright! But without these 10 little screws, the car is not safe to drive – because the fuel pump is located inside the passenger section (under the backseat – handy to work – but a dangerous place to modify and experiment with an “almost-right” screw). Lots of things in life have hidden dealer’s screws. This is especially true of many internet marketing strategies as taught by the gurus. Too often internet marketing gurus offer courses that teach you almost everything you need to know to be successful – except for that “little thing” they leave out. That dang hidden dealer’s screw strikes again! So how do you know if a marketing plan or strategy has a secret dealer’s screw tucked away inside? These are just a few but the most critical element you must watch out for is the “Out-of-Date” technique. These are marketing tools or techniques that simply no longer work, aren’t viable in your specific situation or has been banned outright by Google. Once I was watching webinar presented by a very reputable public relations expert. But as the webinar went on I began to realize that her “co-host” was recommending a technique that I knew was no longer available on the social media sites he was talking about. While the webinar was going on I surfed on over to the site and yep, you simply couldn’t do what he said you could do anymore. Was this just a bad mistake in timing? The software connection he was talking about using had been redesigned without him knowing about it? Or was he just pimping out his course for $197 – whether his surefire success actually worked anymore or not? Well, I gotta run so let’s do a quickie recap. Some internet marketing courses and strategies have invisible pitfalls or dealer’s screws to them – often buried deep where the casual business people won’t think to look. So always ask questions and don’t be afraid to check things out before you pluck down any of your hard earned cash.